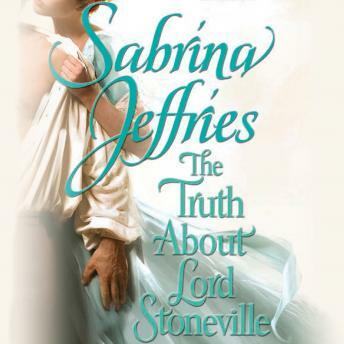 In the two decades since a tragic "accident" took the lives of his parents, Oliver Sharpe, the Marquess of Stoneville, has survived the scandal surrounding that fateful night by living as an unrepentant rakehell. And with his grandmother vowing to disinherit him if he doesn't settle down and wed, he plans to fulfill the bargain in true Sharpe style - by bringing home a fake fiancée from a brothel! But his scheme is derailed when he rescues an American beauty in a dire predicament instead. Maria Butterfield came to London to track down her groom-to-be, who's gone missing, but her engagement won't stop Oliver from getting what he wants: her, in his bed. His rebellious masquerade may call his grandmother's bluff, but it's soon made all too real - by a love that tempts him to be a hellion no more.